Pack of 6 Spinach Clamshells..new price! Six (6) clamshells of Spinach. Pack of 6 Field Mix Clamshells..new price! A dynamic mix of mustard greens, baby kale, tat soi, toyoko bekana and asian greens baby lettuces Comes in packs of 6, 5oz clamshells. All greens a mix from our winter tunnels! Salanova Mix is a beautiful, silky mix of rounded and ruffled leaves. It is very flavorful with mild to no spice. Comes in packs of 6, 5oz clamshells. 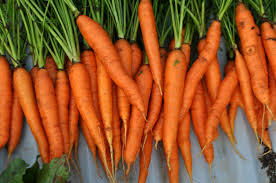 Sweet, crunchy carrots, pre-washed. Available by the 10 Lb & 25lb bag. A winter blend of the last fall harvest . 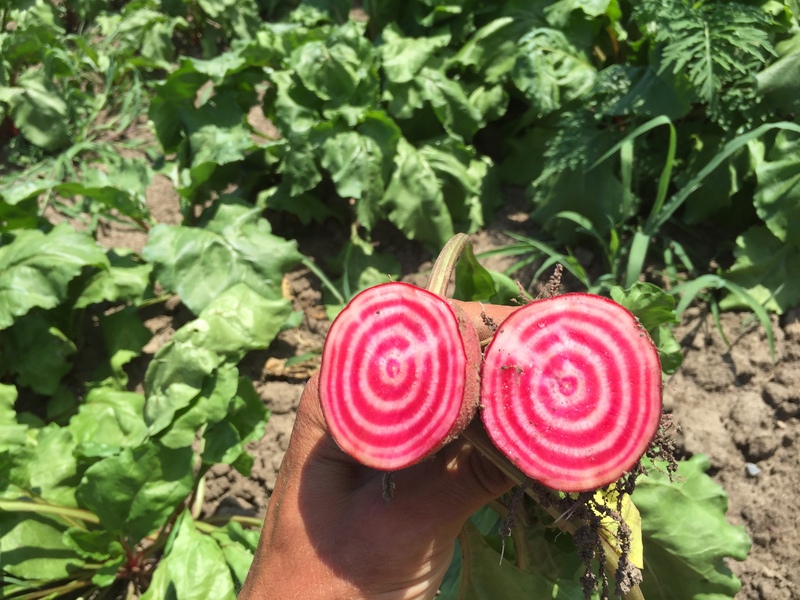 baby golden, candy and red beets avialable in 10#, 25# packs as well as retail ready 2# bags! A 2 # labeled bag of red beets ready for retail. Priced at $1.45 a pound, $2.90 a bag for 1/2 cases of 12 bags. Full cases of 24 2# bags priced at $1.40 a pound, $2.80 a bag. A 2 # labeled bag of Candy stripped beets ready for retail. Priced at $1.45 a pound, $2.90 a bag for 1/2 cases of 12 bags. Full cases of 24 2# bags priced at $1.40 a pound, $2.80 a bag. A 2 # labeled bag of mixed beets golden, red round and candy stripped,,, ready for retail. Priced at $3.10 a bag for 1/2 cases of 12 bags. Full cases of 24 2# bags priced at , $3 a bag. Red skinned white flesh eat your heart out summer fun variety! by the pound or retail ready 2# bags! Buttery golden favorite by the pound or retail ready 2# bags! Related to celery, but this cultivar is grown for the large white root instead of crunchy stalks. Best in late fall throughout the winter. Minimum 50.00 for Pick up at the Farm.